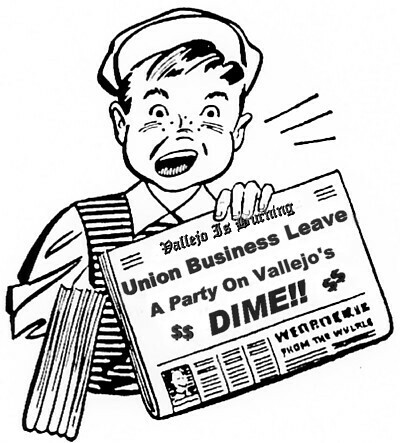 Union Business Leave--Uses or Abuses?? These are examples of activities engaged in by IAFF 1186 Fire Union Officials while on the City of Vallejo payroll. Swimming in the dunk tank for "charity"
"political games-playing with the City"
"mingling into the wee hours of the night"
Dime? Actually $$ hundreds $$ of Thousands of Dollars!! This is the Union that is endorsing Pamela Pitts, Michael Wilson and Erin Hannigan. A vote for them is a vote for more of the same abuse.